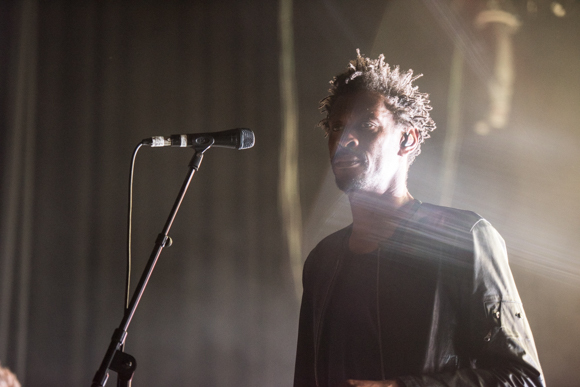 Legendary trio Massive Attack has announced tour dates in celebration of the 20th anniversary of their album, Mezzanine. The tour will kick off in Europe at the beginning of next year, January 28th in Glasgow to be exact. Other stops include Manchester, Paris, Lisbon, and London, before concluding in Bristol March 1st. North American tour dates have yet to be announced, but according to Consequence of Sound, the North American leg will be revealed November 2nd, with the band revealing “they’ll be visiting Washington, Philadelphia, New York, Boston, Toronto, Detroit, Chicago, Saint Paul, San Francisco, Los Angeles, and San Diego as part of their travels.” See the group’s current itinerary below. The group has also revealed details about the upcoming reissue of the album. It is set to be reissued as a black spray can. Robert ‘3D’ Del Naja stated: “It’s a creative way to store your back catalogue, although DNA-encoded spray paint is unlikely to be adopted by street artists seeking anonymity.” The limited black spray can will be available later this year.